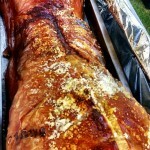 Hog Roast Yorkshire, catering at its finest brought to you by Spitting Pig Yorkshire. We provide the best hog roasts and freshest salads along with great service throughout the length and breadth of Yorkshire. Add to this our fantastic prices and you have a winning formula. Whatever event you are planning please give us a call and with our many years of experience we will be happy to help in any way we can. We are based just outside Leeds and provide hog roasts in Leeds and all over Yorkshire. In today’s world, the amount of time many of us get to enjoy ourselves is lessening and lessening – due to work and family commitments. This places a large emphasis on making sure that quality and leisure time spent with family and friends is utilised to the full. Here at Spitting Pig Yorkshire, we don’t believe in simply getting the job done – instead, we push to create stunning food, which is served with a standard of service which restaurants can only hope to aspire to. By adhering to a few solid rules, our food and catering enterprises have grown to become the most loved in the region. 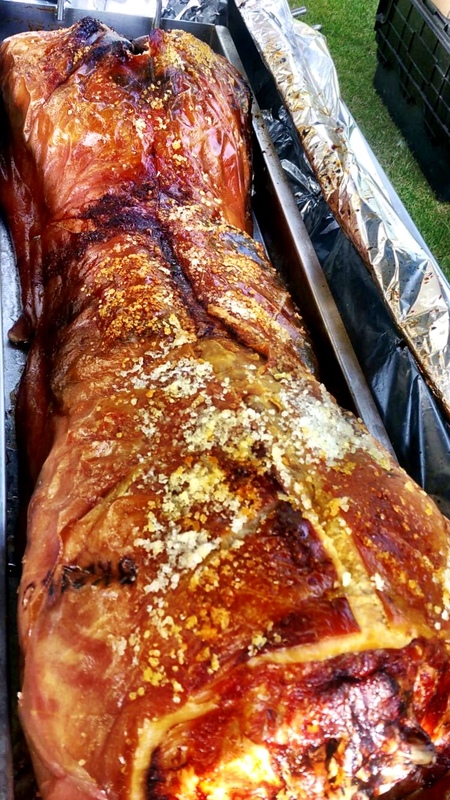 From our Harrogate hog roast wedding catering, through to our Corporate functions in the City of York, Leeds, Wakefield, Wetherby, and Knaresborough hog roast catering, all of our testimonials point to the fact that our hog and spit roasted services are loved by our clients. First and foremost in any of our catering ventures is the insistence on using great quality meats and produce. Sourced fresh and locally, this food is roasted and prepared in front of your very eyes by fully qualified, confident and enthusiastic chefs. By loving the food we serve (believe us, even after all of our years in this fantastic trade, we are not even the slightest bit bored of the food we craft and create), we ensure that our clients get true enjoyment at their events. Roasting every meat from its raw state and in front of our clients, they can not only see the exacting preparations take place, but can also indulge in the full sensory experience of our services. 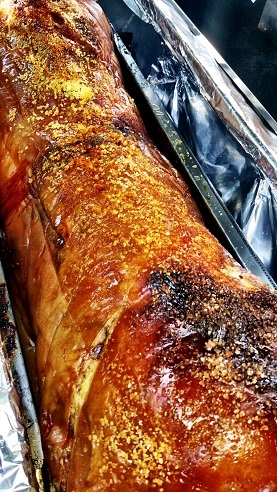 Believing that the hog roast Huddersfield cuisine we create at the venues of our clients is more than just food, we make the most of the fact that our hog and spit roasted menus involve more than just the taste-buds. As the hog (or whole spring lambs, whole turkeys, chickens or loins and sides of Beef) roasts towards its golden and finished state – it looks truly wonderful. By using our very own designed and manufactured hog roast machines and spit roast machines, we maximise this through innovative elements such as an easy-view glass panel. Along with the sights comes the smells and of course the epic taste – which can be gained through no other way bar the use of whole meats roasted over flames, slowly. By taking a few moments to fill out our online form, you too can indulge in the finest food available at your private event or function. Committed to great service in all aspects of our operations, you will receive a prompt response from our dedicated sales staff, who make the event arrangements a breeze for our clients. Incredible food, great service and a true culinary experience not to be missed. We really do want you to experience one of our events , be it one of our infamous hog roasts, a locally sourced slow roasted lamb with mint or maybe spit roasted turkey with cranberries for Christmas. Click the hog roast Yorkshire catering icon above so we can put into action what we have tried to put into words here .Take your time in selecting the menu you desire, then simply leave the rest to us. North Yorkshires livestock is quite simply the best in the Uk. Yorkshire pig farmers have been breeding pigs looking for the perfect pig for 100s of years and they finally came up with the Large White. The Large White is the most widely distributed breed of pig in the world. This is due to the large size of the pig and it being one of the leanest breeds of you can buy. The 18th century Yorkshire farmers crossed the large indigenous white pig of north England with the smaller fatter white Chinese pig. Why not spit your Large White on a lovely summers evening with your guests drinking a glass of wine watching the sunset over the Yorkshire dales whilst enjoying our succulent hog roll and selection of tasty salads. Do not hesitate to contact us to discuss any queries that you may have hope to see you soon, Steve and Ross, Spitting Pig Yorkshire. If you haven’t experienced a whole hog roast, especially at the hands of our specialty catering service, you are missing out. We not only cater any event under the sun, we also hire out and sell the state-of-the-art hog roasting equipment developed and manufactured in our own company. With the best equipment you get the best result, and our hog roast Leeds are becoming legendary for celebrations such as weddings, business events, both informal and formal parties. We can take care of all the details so all you have to do is attend, eat, and have fun with your guests. Our menu choices are delectable, and include not only our famous whole hog, but beef, lamb, chicken, and turkey. Additionally we offer sausage, burgers, kebabs, and spare ribs. Side dishes and desserts are also included and designed to compliment your main course choice, and everything is prepared from fresh local produce and on site, unlike other catering services that transport the food from their location. We come to you. As an all-inclusive catering service, our staff will arrive several hours prior to the start of your event where our trained personal chef will begin preparing the meal and the servers and catering assistant will set up tables, linens, and dinnerware. This meal is guaranteed to be delicious, hot, and served on time. Once the hog roast Harrogate meal has been devoured, the remains are discreetly removed and disposed properly so you can get on with the fun of entertaining your friends and family. They’ll be raving about the food! Our planners will work with you to present an outstanding meal for your celebration that’s within your budget concerns. Any sample menu can be adjusted to accommodate your every detail, such as vegan or vegetarian options, specific meat choices, whether you prefer a buffet or sit-down format. We will serve you either indoors or outdoors, and can suggest possible locations. Our hog roast York team are dedicated to first class dining at an affordable price; outstanding customer service; and employing ethical farming practices. With no one else do you get such a complete package when planning a celebratory event. Although there may be hundred of details on your list, the last thing you have to worry about with our complete team is how or what to feed your guests. They will be wowed by the excellence of the food and the great service. You will be, too. Simply put to experience the best hog roast and catering at your event then use Hog Roast Yorkshire. We genuinely believe our Hog Roasts are the best in the business. We do things properly at Spitting Pig Yorkshire. Over the years we have perfected the art of hog roasting. We have met many different people and experienced many types of different jobs since starting, perfecting our crispy crackling for the perfect crunch and our succulent pork will not beaten, working on corporate events and large weddings to small intimate party’s . Every job we do is done with professionalism and integrity. Working all over Yorkshire we really feel privileged to do the job that we do. The people and the places are second to none, from Hog Roast Skipton to York, Leeds to Bradford we genuinely love the job. There is no question that there is nobody in the business who comes close to what we do. Unlike some of our competitors we are fully insured and all members of Ncass. We are fully trained in food hygiene as are all our staff. We send out a contract for you to sign and send back which legally obliges us to attend and cater at your venue giving you peace of mind leaving you to relax on your big day. We will not let you down two days before your big event which believe me happens a lot. 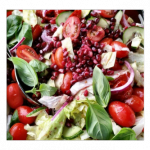 Our dedicated and friendly team of Chefs cooks and caterers are well trained and have numerous accounts of experience working together in a fast paced, food orientated environment. We offer different services for each event, providing you with all condiments, linen table covers, plates, cutlery and linen napkins. Further information regarding the various menus for each event can be found on the company website along with prices and servings. Beyond the meat feast hog roast york provide starter and side portions from salads, to hot and finger buffets, platters, sandwiches, canapés and everyone’s cheeky little deviation, desserts. To give you a rough idea with regards to get a feel for the package you would like to go for. We have been providing catering for corporate events, wedding and private functions for hundreds of events across the border’s of the Yorkshire area, covering all Hog Roast Sheffield party locations. We can proudly say that our products and service have be tested and perfected by the use of various promotional occurances. We can contentedly guarantee to provide all of our Certificates of food handling, hygiene and public service documents prior to your booking as it is in your interest and our approval that you choose an established hog-roast catering company for your event. All additional information including contact details can be found on the spitting pig website, with links to our other websites with information on Mobile Bars for home events, Food Stations and other forms of hog roast in leeds. We will be more than happy to take your call and discuss all of the above information and provide you with a quote for you event. Wherever you live, the combination of pork and anything apple-based is a winning one. That’s why with most of our packages, we serve our roasted hog with apple sauce. 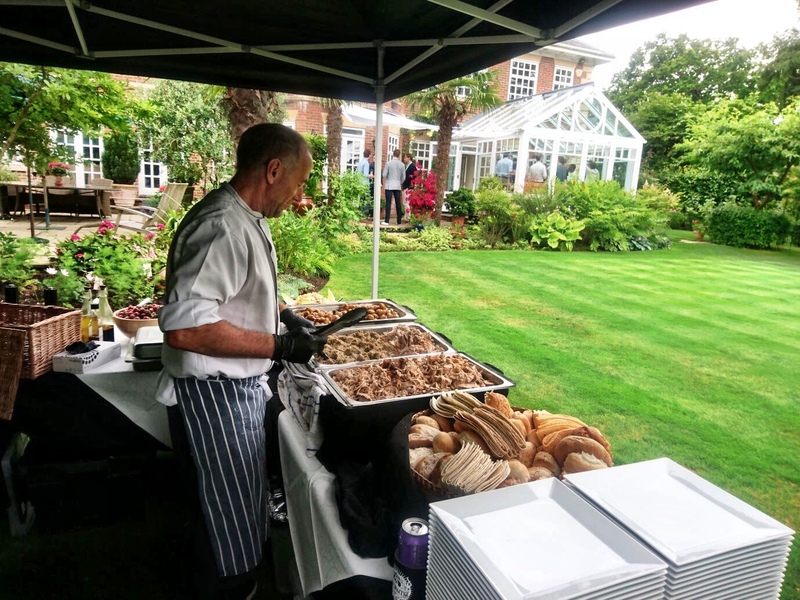 We’ve been in the hog roast catering business for many years, and, over that time, we’ve improved with every job we’ve done to the point of reaching perfection which we achieve today. One of the things we’ve learnt while in business is that pork and apple go very well together. 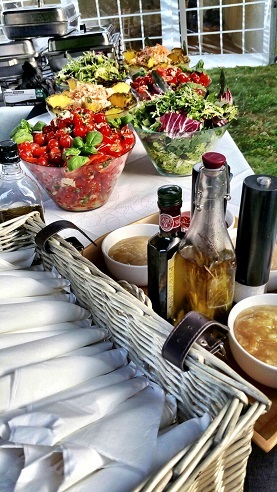 Freshly-cooked meat and cider are two of the most typical things that come to mind during the summer months, and, at one point, most people will fancy having a barbecue. However, all the time and effort that goes into buying, preparing and cooking the meat, as well as all the trimmings, can take it out of you. Thankfully, we can help save you from doing all that, and all it takes is a quick call or e-mail.